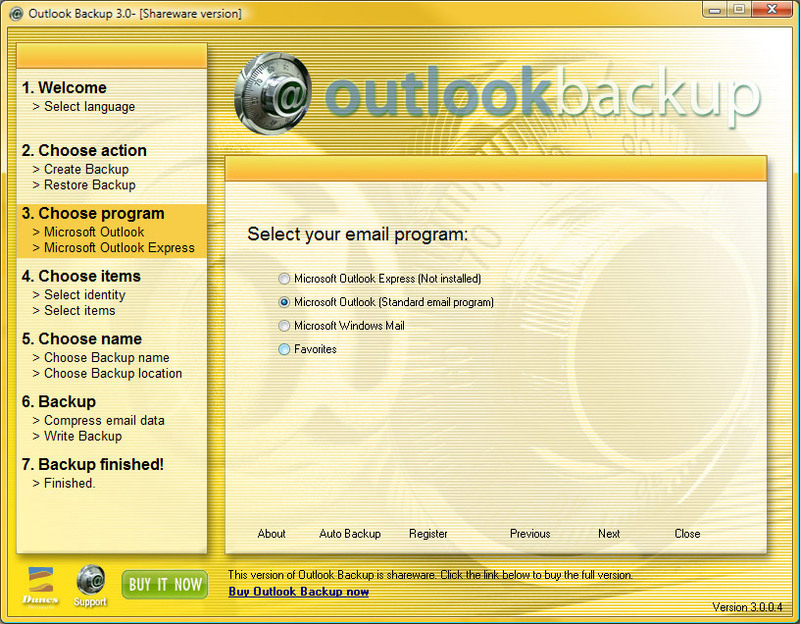 Outlook Backup is a legacy windows application to backup all your emails for Outlook 2010 (password protected) and to restore them safely and easily. Not only emails, but also account setting, address books, blocked senders, signatures, rules and other mail settings (outlook) are backed up in a separate file. This assures you can access en receive your e-mails directly after a crash or problem with your mail. You can backup and check your restore of your mail in the 15 days trial period. After the trial period Outlook Backup costs $ 19,95 per license.